This is by far my most favorite pumpkin soup recipe ever! 2 cans of unsweetened coconut milk (if you want it super coconutty, you can use 1 can of coconut milk & a small can of coconut cream, but NOT the sweetened kind) - I usually buy frozen coconut milk at the Asian market, so that's what I had on hand. Chop up your carrots, celery, onions and garlic. Melt your butter & oil together in your pot (I make a big pot of this soup since it goes fast, and I like left-overs!) 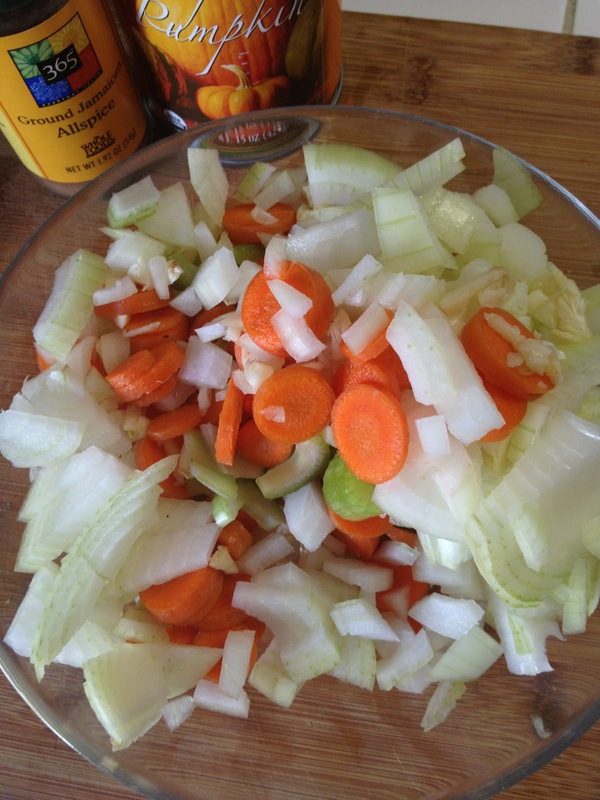 Once your butter is melted, toss in your veggies and saute' them until they are golden brown. 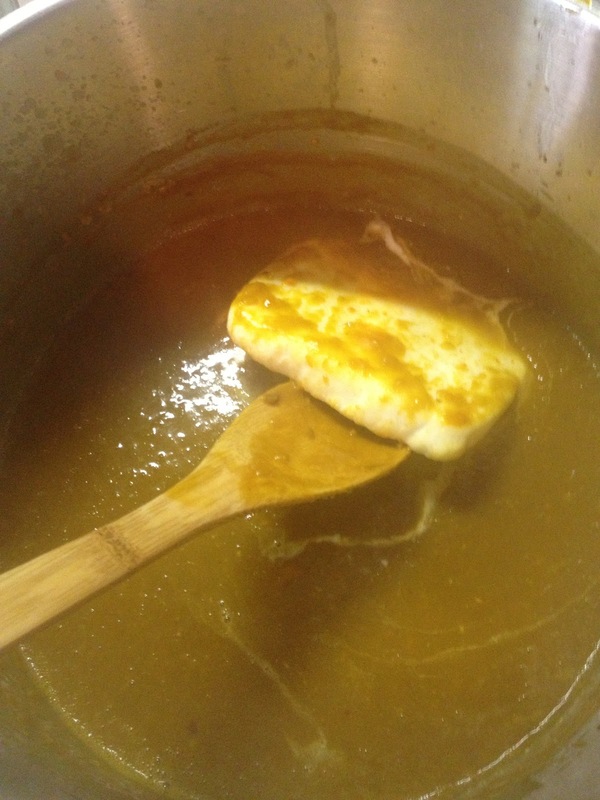 Add your pumpkin, broth, sugar and spices. 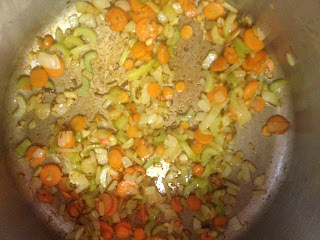 Bring everything up to a boil and then reduce the heat, cover and simmer for 30 minutes, stirring occasionally (you don't want to burn the bottom). After 30 minutes you will want to blend the soup up to make it smooth. 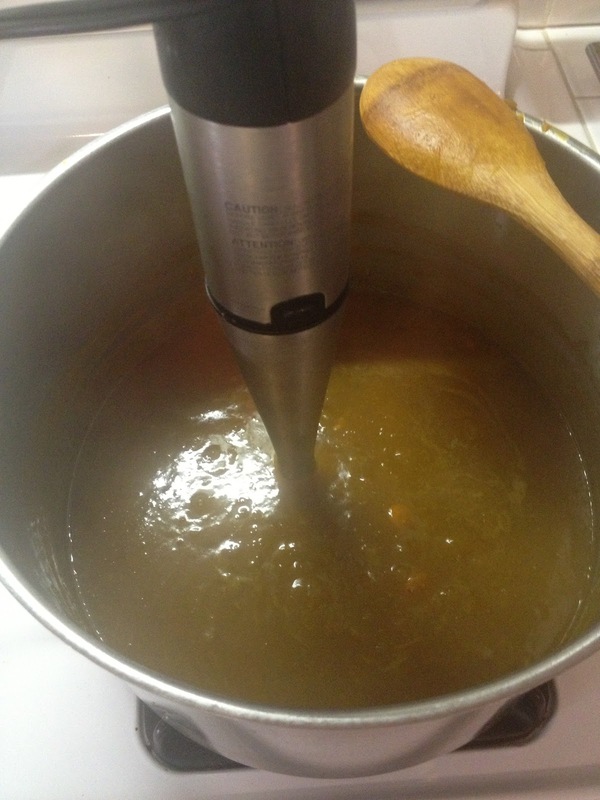 If you have an immersion blender, that is best, but if not, you can do it in batches in the blender. Be careful handling the hot soup! 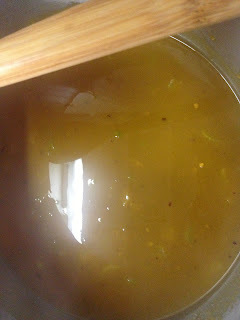 Once your soup is smooth, return your soup to a simmer and add your coconut milk until the consistency is what you want....not too thick, but not too thin. 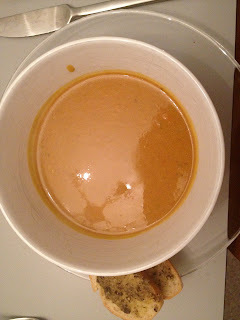 It should be a pretty creamy orange color and should be about the thickness of a bisque. (You can see the frozen coconut milk here)Season with salt & pepper to taste & serve! I like to serve this soup with garlic toasts. You can find the recipe here.